The F-35 wows at Paris Air Show, whilst rumours circulate that a major deal for the aircraft involving 11 countries is in the pipeline. According to a Reuters report, Lockheed Martin is on the verge of signing a major deal to sell the F-35 fifth generation fighter jet to 11 countries. Citing an unnamed source, Reuters says the deal to sell a record 440 F-35 fighter jets to a group of 11 nations, including the US, is valued at a cost of more than $37 billion. The F-35A is making its flying debut at the Paris Air Show this week at Le Bourget, where it is said to have wowed audiences with its steep ascent and acrobatic manoeuvres. Lockheed Martin F-35 test pilot, Billie Flynn worked alongside engineers and graphic artists to develop a flying display full of 90-degree climbs, 6G turns and a pedal turn that makes the jet appear to float like a butterfly. The F-35 already has nine international partners, including the US, the UK, Japan, Italy and the Netherlands, which have invested in the F-35. Hewson said Finland, Belgium and Germany had also expressed an interest in the fighter jet. In April this year, the US Air Force deployed a small number of F-35A Lightning II aircraft to Europe for training purposes. Europe is scheduled to receive the aircraft in the early 2020s. 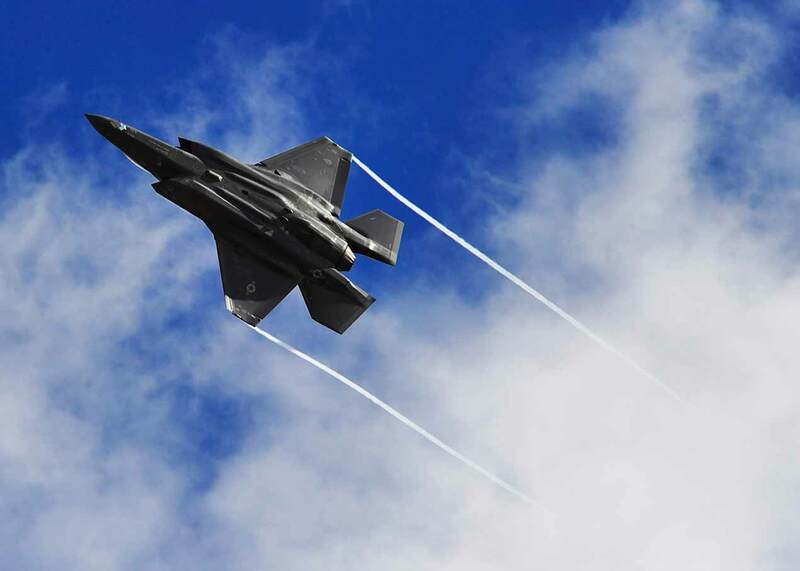 However, in the run-up to the Paris Air Show, the US Air Force grounded the F-35A at Luke Air Force Base in Arizona for 11 days after pilots experienced what were described as “hypoxia-like symptoms." The Air Force has since posted on Twitter that F-35 operations at Luke Air Force Base will resume from the 21 June. The Air Force said it had not identified a specific root cause for the physiological events. However, specific concerns were eliminated as possible causes including maintenance and aircrew flight equipment procedures. Precautionary measures will be taken, the Air Force says, such as expanding physiological training to increase the understanding between the pilot and medical communities; increasing minimum levels for backup oxygen systems for each flight; and offering pilots the option of wearing sensors during flight to collect airborne human performance data. At the annual ITEC training, education and simulation forum in Rotterdam in May, Lieutenant Colonel Ted Meeuwsen, Deputy Commander of the Centre for Man in Aviation for the Royal Netherlands Air Force, said that F-35 training and simulation should be as realistic as possible, particularly in terms of using equipment as pilots would in live operations and adding the effects of hypoxia or disorientation, as well as training F-35 pilots to overcome information overload. Hypoxia was also reportedly a problem with Lockheed Martin’s F-22 Raptor fighter jet, which was attributed to an insufficient supply of oxygen to pilots. The F-35 may be wowing audiences at the Paris Air Show and attracting more international interest, but as one of the most expensive aircraft programmes (estimated to be worth $400 billion) ever undertaken by the US Air Force, it has also had its share of detractors, including the US President Donald Trump, who on the campaign trail, referred to the “tremendous cost and cost overruns” of the Lockheed Martin F-35 programme. Once he was inaugurated Trump then asked US Defense Secretary James Mattis to oversee a review of the F-35 project to find ways to significantly reduce the cost of the jets. Trump later boasted that he had managed to shave off $600 million from the cost of 95 F-35 Joint Strike Fighters—out of a total of 3,000 planes—that the US plans to acquire. Lockheed Martin later announced that it had reached an agreement with the US Department of Defense, which represented a nearly 8% reduction in price for the F-35 over its last contract for the air vehicle delivered by Lockheed Martin and its industry partners. Other setbacks to the F-35 Lightning II Joint Strike Fighter programme have included major delays with the F-35B variant due to weight reduction initiatives. The entire US Navy and Air Force fleet was temporarily grounded on 3 July 2014 after an F-35 fighter jet caught fire during take-off at Eglin Air Force Base in Florida. 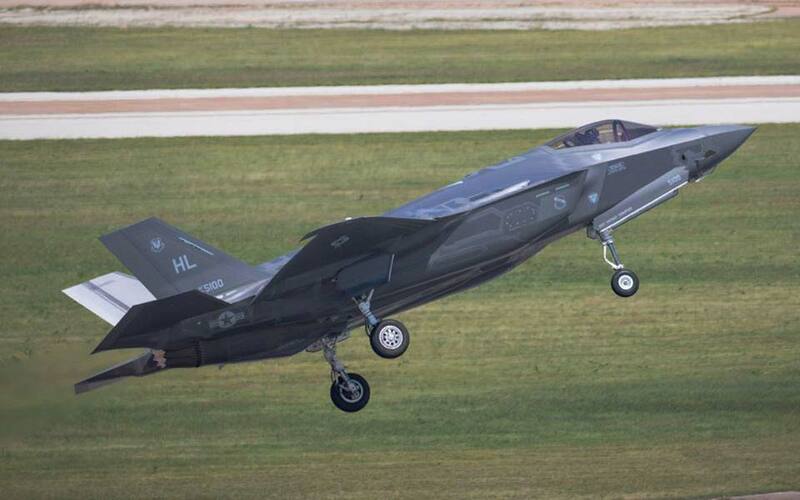 More than 200 F-35s have already been delivered to the US Air Force and Marine Corps. Initial operating capability has been declared for the F-35A and F-35B variants of the aircraft. However, the F-35C carrier-based CTOL variant for the US Navy and Marine Corps is the more expensive and most problematic of the three variants. According to Reuters, the US Air Force plans to acquire more than 1,700 F-35A variants through to 2037. The UK Ministry of Defence is set to buy 138 F-35B short takeoff/vertical landing aircraft, which will fly from its two new Queen Elizabeth aircraft carriers, but it has not provided details of how much the total programme is likely to cost.